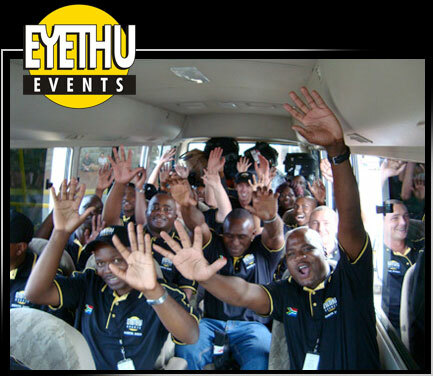 1 a Zulu word meaning "ours"
In essence our vision is to "own" an event in terms of owning responsibility for service delivery, which ultimately contributes to the safety and success of the event, or function being presented by the organiser and/or sponsor. "Superior Service Through Upliftment of our People"
Logistical support with regards facilities, i.e fencing, ticket sales caravans, road markings etc. SAPS co-ordination including VIP Protection Unit Dog unit and SANAP. Metro police co-ordination, including traffic control. Fire Safety planning and approval. Noise pollution planning, approval and assessment. Local council legal regulation adherence. Assuring you of our attention to best possible service at all times.